On 20 May 2008, the executive editors of Polymer International and the IUPAC Polymer Division announced that Zhenan Bao was the first winner of their award for creativity in applied polymer science or polymer technology. The award celebrates the achievements of young researchers in the polymer industry. Professor Bao, of the Department of Chemical Engineering at Stanford University, California, USA) received USD 5 000 and the opportunity to present the Award Winning Lecture at MACRO 2008. She presented her lecture on “Polymers for Flexible Electronics” on 4 July 2008 at the Taipei Convention Center, Taiwan. Zhenan Bao, winner of the first Polymer International-IUPAC Award. 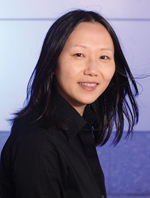 Zhenan Bao, a world leader in the field of organic and polymer electronics, was formerly a distinguished member of the technical staff in the Materials Research Department of Bell Labs, Lucent Technologies at Murray Hill. She pioneered the materials design concepts for high charge transport properties in polymer semiconductors and air-stable organic semiconductors that can be processed using solution techniques. This work led to the first demonstration of all-printed organic transistors, and her group was the first to demonstrate all-printed plastic circuitry, thereby opening a new era in electronics. Under her leadership, her group has developed new dielectric material systems and a new type of water-stable sensor. Her interdisciplinary approach to technologically important issues applied in industry has now been transferred to her career in academia, with over 100 refereed publications and more than 30 patents to her name.